Taking off from the leads, Rahul drew parallels between HAL and Anil Ambani’s company that has been chosen as offset partner by Dassault. BENGALURU: Flanked by senior leaders of Karnataka Congress, former Union minister Jaipal Reddy, former and current employees of HAL on all sides, All India Congress Committee president Rahul Gandhi demanded that the Narendra Modi government apologise to HAL and its employees for ‘insulting’ them. 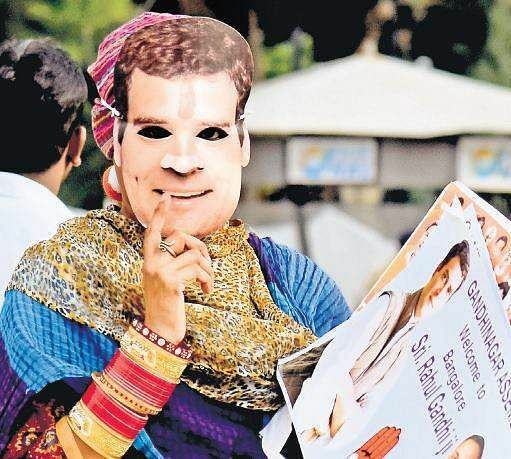 During his half-day visit to Bengaluru, exclusively for the purpose of taking his party’s criticism of the Rafale deal directly to HAL’s headquarters, Rahul managed to gain the support of the PSU’s former and current employees who defied a directive from the management to keep off the interaction. “Patriotism of this 78-year-old PSU has been insulted by the government of India. HAL employees want an apology from the government,” Rahul said, picking up from a former employee who addressed the gathering earlier. “We feel insulted and hurt. A company that has 70-plus years of experience was thrown out when almost 90% of the agreement was done. I don’t understand the logic of ignoring an experienced PSU. The government is killing us and taking away our food,” said Sirajuddin, a former employee of HAL. “At least 50% of workers are jobless. The aircraft division is jobless. More than 30,000 SC/ST people are working in HAL and they face a threat of joblessness. Everybody knows HAL will close in five years because there are no projects,” said Shivalingaiah, member of HAL’s SC/ST employees’ association. Many former employees who spoke during the interaction highlighted the PSU’s achievements in manufacturing defence requirements. Taking off from the leads, Rahul drew parallels between HAL and Anil Ambani’s company that has been chosen as offset partner by Dassault. “The Defence minister comments on lack of experience of HAL, but has nothing to say about the lack of experience of Anil Ambani who has never built a plane in his life. HAL has no debts, Ambani has Rs 45,000 crore in debt. HAL has been working for 78 years and his company has been working for 12 days. It is pretty clear that there is no comparison between the capabilities,” Rahul said to a loud cheer from the crowd. With an intention of propping up the Rafale deal as a primary poll agenda ahead of Lok Sabha elections in 2019, the Congress has thrown its doors open to employees of HAL assuring that their concerns will be addressed. Rahul said that by taking away the deal from HAL the government had successfully taken away the jobs of many engineers. “If somebody thinks they can build their future on your graves, that won’t be allowed. You have a tremendous amount of experience and it cannot be destroyed in this manner. You are fighting for this and I want to tell you that we will also not allow it,” he said. In spite of the sun beating down, several supporters gathered at Minsk Square on Saturday afternoon to greet Congress president Rahul Gandhi prior to his interaction with HAL employees. About 50-100 supporters were present. Many carrying large Congress flags and wearing Gandhi masks. Some also held up banners questioning the Central government about the Rafale deal. Among the supporters was a contingent from Shanti Nagar constituency. Syed Salim, a member of the contingent, said that they wanted to request Rahul to make someone from Shanti Nagar a Cabinet minister, something which they said had not happened since India attained Independence. One ardent supporter, Dinesh Sharma, was armed with a big flag. Sharma said he goes to many cities when Rahul goes to attend events and has taken a vow to not wear any footwear until Rahul is made the PM. Minsk Square had heavy security cover since 3.30 pm, half an hour before Rahul’s arrival. His arrival sparked a frenzy among his supporters, who chanted slogans praising him. 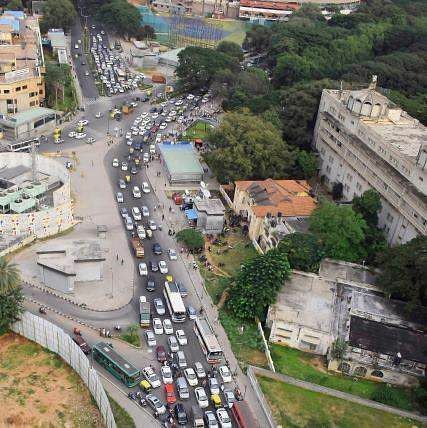 Roads leading to the venue witnessed traffic jams as police regulated the movement of vehicles along several stretches in the Central Business District.